LeBron James has done it again. And the Toronto Raptors and their fans have had their hearts broken, again. LeBron banked in a runner at the buzzer to beat the Raptors 105-103 on Saturday night in Cleveland. The victory gives the Cavaliers a commanding 3-0 lead in the second-round Eastern Conference series. 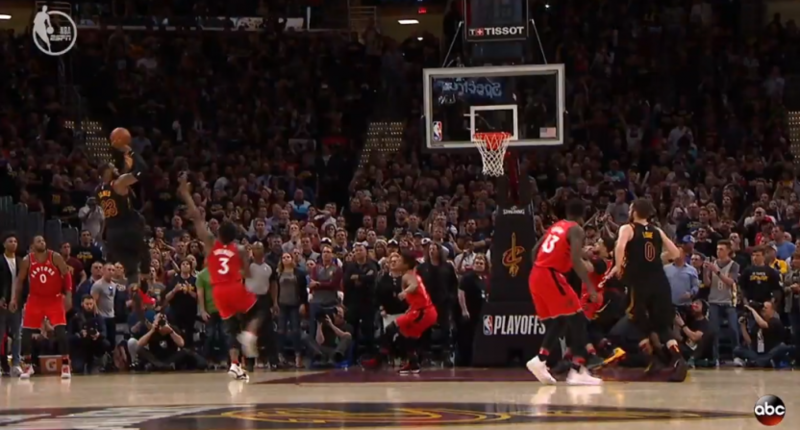 The Cavs had to go the length of the floor after OG Anunoby nailed a game-tying three with eight seconds left. This is such a soul-crushing loss for Toronto, and while they’ve had a great season and are arguably the better overall team on paper, it’s hard to see them having much of a chance to beat LeBron four straight times. This series is almost certainly over.